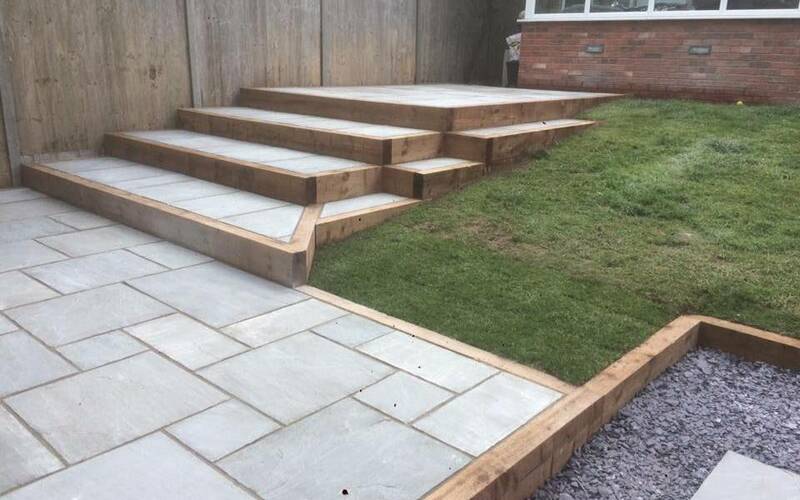 Here at RF Landscapes we are experts in providing everything that you need to make your garden look beautiful. One of the popular items that we stock in our online store are railway sleepers. These big and rustic looking pieces of timber are a great way to add an extra touch to your outdoor space, and best of all they are incredibly versatile and can be used in a number of ways. Looking for some inspiration in how you can use a railway sleeper? Why not take a look through our 4 ways to incorporate them into your garden? Raised flower bedsRaised flower beds are ideal for your garden. Using railway sleepers you can create a raised box within which you can grow an assortment of veggies or flowers.By having them raised off of the ground they stop any weeds from getting into your soil, give the soil great drainage and also minimise the risk of pests getting at your hard grown crops.Railway sleepers are great for raised flower beds as not only are they strong but they look great too. Walled areasWant to create a section of your garden that is separate from the rest of the space? Railway sleepers make the ideal way to section off a seating area or a play area for the kids.Rather than building a brick wall that doesn’t fit in with the rest of the garden, a railway sleeper wall is a beautiful addition to your garden. BordersSimilar to the walled areas, railway sleepers can also section of the soiled areas of your garden, creating borders. They make for ideal border materials as they keep in with the rustic look that is so popular in gardens.Not only this, but they are strong too. Perfect when you want a long lasting addition to your outdoor space. Bench’s The majority of the ideas for the use of railway sleepers are to separate areas or build borders. What you may not realise is that they are also for building garden furniture too.Whether it is a singular bench that you can pop in your garden to enjoy, or perhaps a picnic style bench that the whole family can sit at in the summer. Railway sleepers are strong, sturdy and hard-wearing. Just what you will need in garden furniture.If you don’t like the natural and rustic look, you can also paint the railway sleepers to add some colour and style. Thinking that it is about time that your garden had a bit of an overhaul? Check out the natural and sustainable items that we have in stock here at RF Landscapes. With so many great things to choose from, you are sure to find the ideal addition to your home, giving your garden a super stylish makeover.